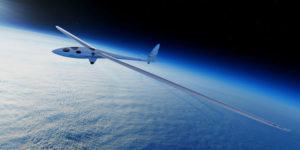 Come Wednesday and Airbus’ Perlan 2 glider – the world’s first engineless aircraft – will go on a ‘record-breaking’ spree as it attempts to reach the edge of space by flying close to 90,000 feet in the air. The initial test flight which is scheduled to take place at the Redmond Airport in Oregon, hopes to open up a world of new discoveries related to aeronautics, climate change and space exploration – apart from attempting to shatter the fixed-wing aircraft altitude record of 50,722 feet set by founder Einar Enevoldson and his co-pilot and noted adventurer Steve Fossett in 2006. All aircrafts are a bundle of compromises. Some designs fly well at low altitudes but are unable to sustain flight at high altitudes. Some are optimized for high altitude but fly poorly at low altitudes. Some are designed to carry heavy loads and some carry little more than a pilot. The Perlan 2, for that matter, is an exception by itself. The dream of Enevoldson, a former NASA test pilot, the Perlan Project looks to build a glider that can travel to the edge of the Earth’s atmosphere. The Perlan 2, an 1,800-pound glider – weighing the same as a 1967 Volkswagen Beetle – with an 84-foot wingspan, will be towed into the air like a traditional glider, but will then ride high altitude mountain waves in its later flights when it attempts to go beyond 50,000 feet. “Before, there’s never been a glider that could sustain pilots that high,” Perrenod said. “Aircrafts that go into higher altitudes have pressurized systems. Commercial aircrafts, for example, pump air into their planes for their crew and passengers. The Perlan Project developed its own life-support system for its high-altitude flights, a “re-breather” system similar to underwater diving. Pressurizing the Perlan 2’s cockpit gives it a unique look among gliders, Perrenod says. If all goes well in Redmond, where Perlan 2 might make as many as 20 flights at the airport over the next two months, the Perlan Project will move to Nevada in December to do a series of higher altitude tests.